Digital Accessibility is a civil right — the right to participate in all that is offered on websites, mobile applications and through other technologies. In the 21st century life happens online, and without accessibility disabled people are excluded. The law is one of the tools advancing digital accessibility in the United States. 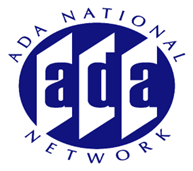 This webinar, taught by one of the leading disability rights lawyers in the United States, will review recent legal developments involving the civil rights of disabled people to access digital content. Up-to-date news about court decisions, Structured Negotiation settlements, laws, and regulations impacting digital accessibility will be shared. This webinar is not just for lawyers. We can all put the law in our pockets, learning to talk about disability rights laws as a tool of motivation and not fear. Everyone can learn to talk about the law in a straight forward way that recognizes the core rights of disabled people to access websites, mobile applications, kiosks, and all things digital. The law need not be a hammer or a threat (though of course it can be, and sometimes needs to be). The law can also help motivate companies, educators, and public agencies to be proactive about accessibility. Plenty of time for questions.